Sunday Synopsis! ~ Diane's Vintage Zest! Monday: Easy Eggplant Parmesan that takes me less than 10 minutes to put together after I do some prep work and then stick it in the freezer! Tuesday: Do Tell Tuesday #11 with our lovely guest co-hosts Jeanette & Leigh and features from last week. :) Come link up and try to get featured on all four blogs next week! Tuesday: Happy National Banana Bread Day! Well, on 2/23... Here's a round-up of recipes and more! Wednesday: Introducing Stitch Once, Rip Twice's fifth challenge... A Simple Top! Find out how to join in or just watch the fun! on The Episodic Eater: Our Valentine's Day dinner at ARC Food & Libations! 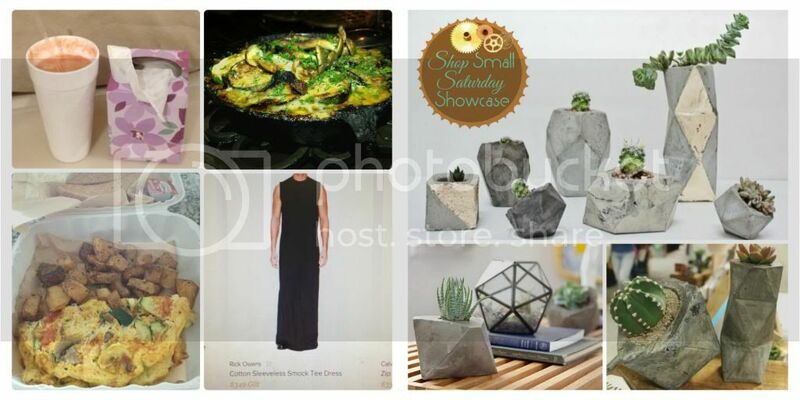 Saturday: Concrete Geometric's Shop Small Saturday Showcase feature & GIVEAWAY for you to enter!